How important is coffee in your life? Do you like the occasional cappuccino or are you a true lover who needs an espresso every single morning? Interested in finding the best coffee shops in Bahrain, and maybe choose the nearest one to you? Bahrain is a haven for tea lovers, you can easily find everything from English earl grey to Indian saffron Chai Karak! Nonetheless, the island still offers a wide range of brilliant coffee shops where you can enjoy your favorite brew. So, rejoice coffee lovers, because we bring you here the best coffee shops in Bahrain. Gourmet coffee in the most elegant coffee shop in Bahrain! 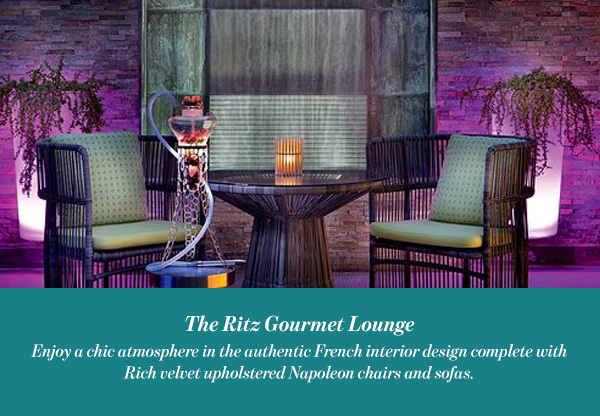 Enjoy a chic atmosphere in the authentic French interior design complete with Rich velvet upholstered Napoleon chairs and sofas. The design was influenced by the Belle Epoque, or the “Beautiful Era”, a period in French history which started around 1890. A freshly roasted selection of various coffees from Arabica to Turkish is available daily, you can enjoy your coffee along with home-made breads, croissants, and richly decorated desserts. You can also purchase your favorite brew in the gourmet lounge retail area. 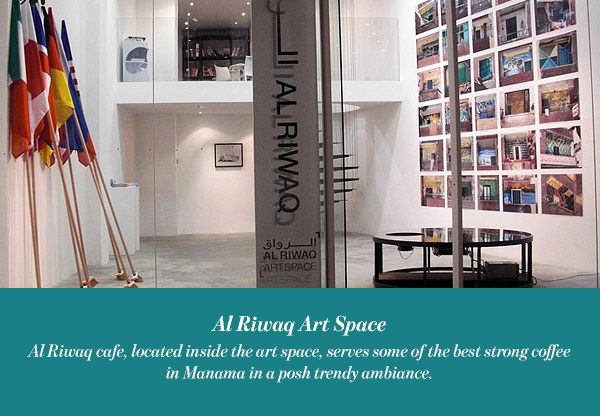 Al Riwaq cafe, located inside the art space, serves some of the best strong coffee in Manama in a posh trendy ambiance. The place is very popular with artists and art lovers as it provides exhibition space to emerging and established artists, both local and international. This place certainly is one of the most interesting coffee shops in Bahrain. You might also want to try some of their fresh sandwiches and homemade baked goods with your coffee. And after that, take a look at the exhibits on display, you are bound to find something interesting! 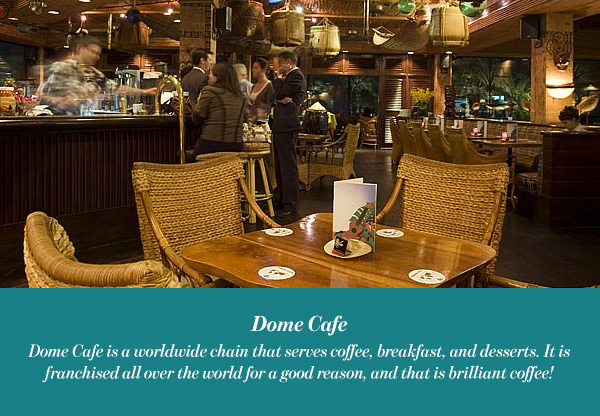 Dome Cafe is a worldwide chain that serves coffee, breakfast, and desserts. It is franchised all over the world for a good reason, and that is brilliant coffee! The American coffee comes highly recommended, it is strong, aromatic, and served with or without milk as per your choice. 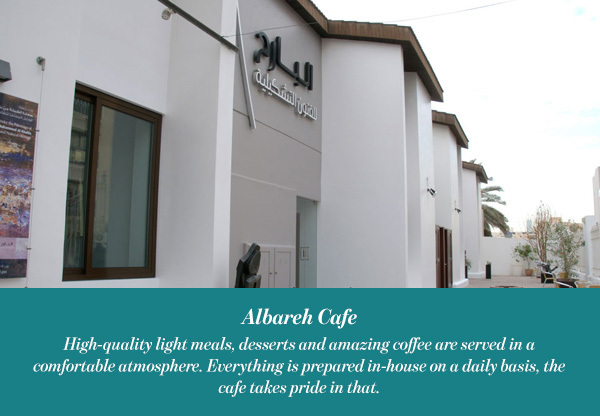 Albareh Gallery is an oasis for art and artists in Adliya, inside the art gallery there is a very nice modern café. High-quality light meals, desserts and amazing coffee are served in a comfortable atmosphere. Everything is prepared in-house on a daily basis, the cafe takes pride in that. 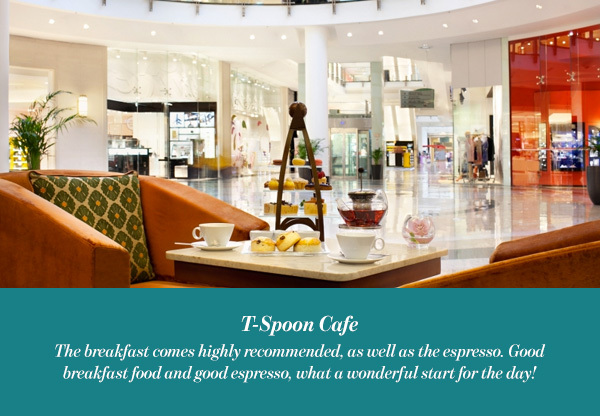 T-Spoon is an ideal venue for anyone seeking a refreshing cup of coffee. Located inside City Center Bahrain mall, the trendy cafe serves a varied selection of coffee, tea, food and pastries. The breakfast comes highly recommended, as well as the espresso. Good breakfast food and good espresso, what a wonderful start for the day! 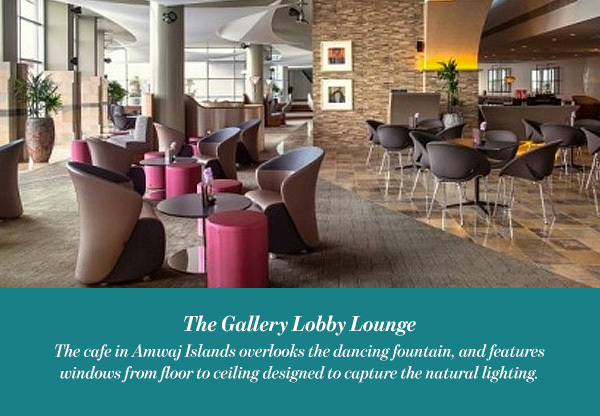 The Gallery Lobby Lounge is an exceptional gourmet coffee shop. You can even watch the expert baristas making your coffee using distinctive brewing vessels. The cafe in Amwaj Islands overlooks the dancing fountain, and features windows from floor to ceiling designed to capture the natural lighting. It is the perfect place to enjoy your morning coffee or enjoy a nice meal while listening to the live entertainment. The founder believes that more than something edible, chocolate is art, it promotes happiness. Everything they make in that shop is made with true passion. 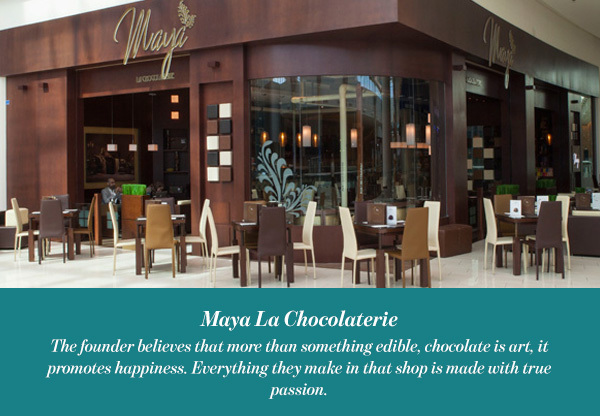 A chocolate shop first, but still Maya is one of the best coffee shops in Bahrain. The place serves amazing coffee, made with the same love ,and passion for quality used for making the chocolate. Of course desserts are delicious, so make sure to get one with your coffee. If Turkish coffee is your brew of choice, then Mado is the perfect place for you. 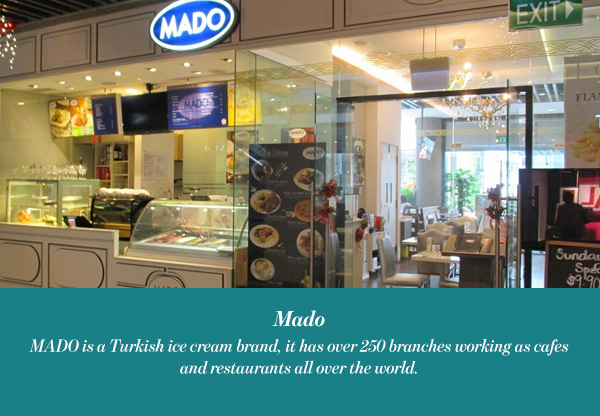 MADO is a Turkish ice cream brand, it has over 250 branches working as cafes and restaurants all over the world. They serve some of the best Turkish coffee in town! Along with a wide selection of Turkish food, desserts and tea. 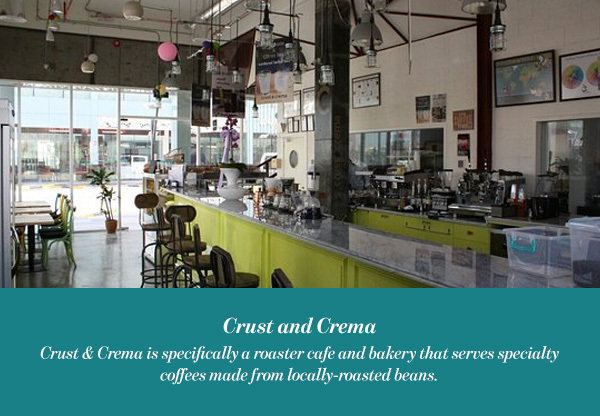 Crust & Crema is specifically a roaster café and bakery that serves specialty coffees made from locally-roasted beans. They also serve artisan breads and artistic desserts, so will find a toothsome treat to munch on while you enjoy your perfectly brewed coffee. They even have an espresso bar where fresh coffee is brewed and then served in its true form and experience. You can find in that espresso bar coffee with a citrus, floral, and even dark chocolate flavor.